There is no greater symbol of the American presidency than Abraham Lincoln. Lincoln himself, his personality, the sources of his dedication and his idealism, remain very much a mystery. The sudden rise to world stature of a hard-traveling lawyer from the frontier, with no prominent family or social connections to back him, was a wonder of the age. Well over a thousand books about Lincoln have been written and still the enigma remains, perhaps because it is the enigma of a young country finding its footing and its destiny. Yet, no part is deeper, more perplexing, than Lincoln�s own beliefs about God and destiny. 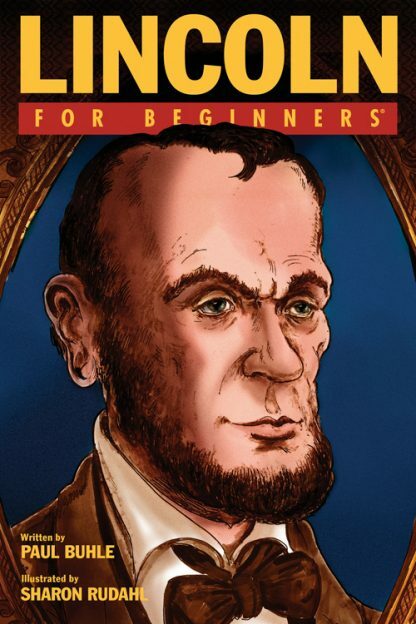 Featuring a foreword by Pulitzer prize-winning author Eric Foner, Lincoln For Beginners sets to demystify the man behind the legend. Sharon Rudahl was one of the female comic artists who contributed to the first underground comix publications of the early 1970s and was part of the collective that started Wimmen�s Comix in 1972.